Psychotherapist Kenneth Sørensen, MA Psychosynthesis, argues that Roberto Assagioli’s placement of the star at the top of the egg diagram was a reflection of Assagioli’s belief in the perennial philosophy. The change to Roberto Assagioli’s egg diagram suggested by Firman and Gila (1995) and others has been widely accepted by many and rejected by others in the field of psychosynthesis, while still prompting debate. 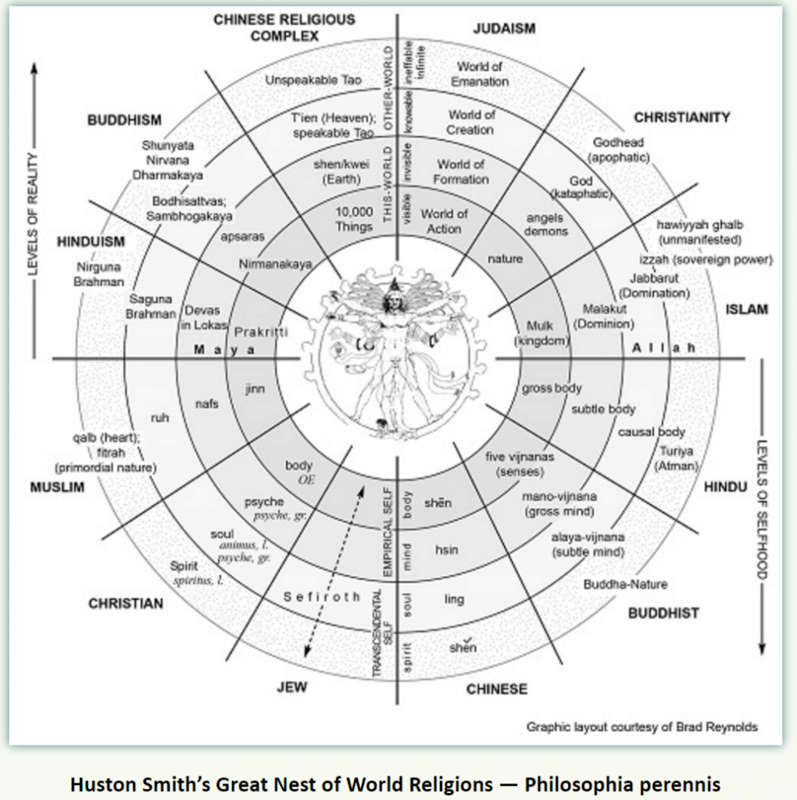 Firman and Gila suggested it was unhelpful to position the star, representing the Higher Self, at the top of the egg diagram because this misleadingly suggests that the Higher Self is only accessible via the higher unconscious. Instead, Firman/Gila suggested removing the star entirely from the diagram with the proviso that it be understood that ”Self pervades all areas of the person – lower unconscious, middle unconscious and higher unconscious”. My purpose in writing this paper is not so much to revive this debate – I have expressed my own opinion that the star be kept in the egg diagram elsewhere (Sørensen, 2008) – rather I want to explore the overall philosophy, vision and background from which Assagioli was writing in an attempt to explain his original inclusion of the star in his diagram. It is my premise that he didn’t place the star where he did because he came from a patriarchal past in which hierarchies were part of the inherent cultural mindset; neither did he do so because he was fond of mountain climbing or trapped in a dualistic gnostic illusion. Rather, the star in the diagram symbolises a reality that is as real to Assagioli as the physical world. 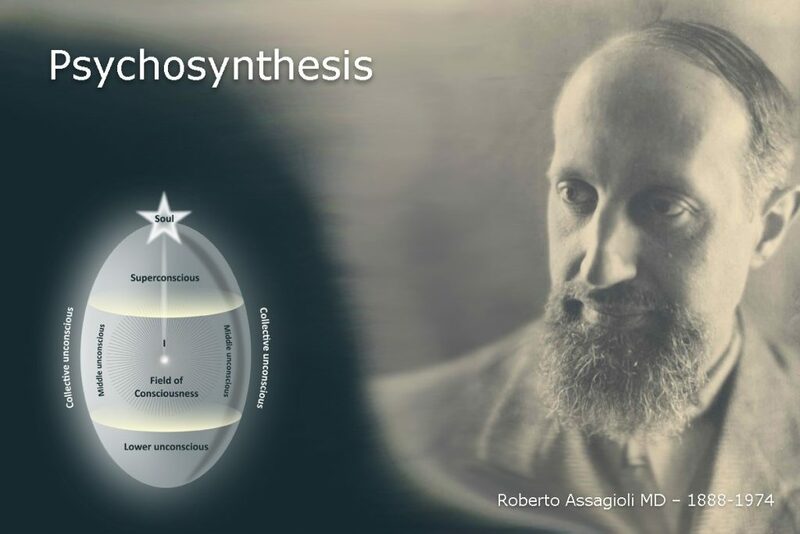 Assagioli maintained that psychosynthesis was an experiential approach to life based upon ’facts’, claiming that “certain fundamental facts exist, and their relative conceptual elaboration, deep experience and understanding are central” (Assagioli, 1974). And among these facts is the existence of the Self. Reading literature written after Assagioli’s death, we often find psychosynthesis compared to a variety of metaphysical and philosophical schools, including yoga, Jewish mysticism, gnosticism, Neo-Platonism, theosophy and other esoteric traditions. 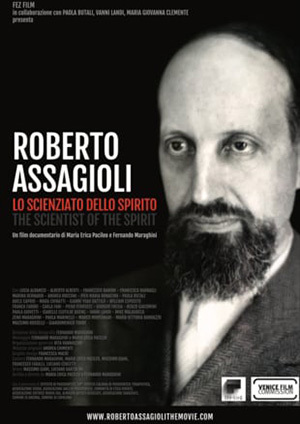 This makes sense – Assagioli was an integral thinker who embraced and explored many different philosophies – yet his eclecticism also makes the task of defining the philosophical background of psychosynthesis difficult. In his classic work ‘Psychosynthesis’, Assagioli (1975, pp. 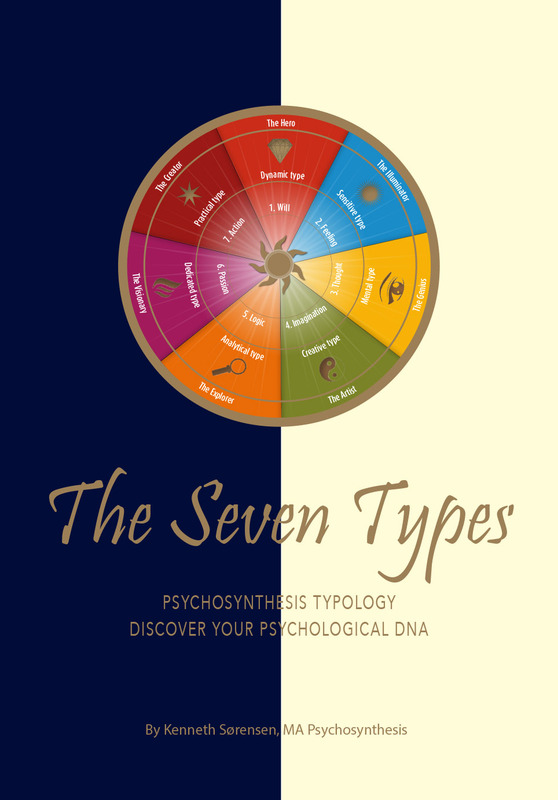 6-7) writes: “Psychosynthesis does not aim nor attempt to give a metaphysical or theological explanation of the great Mystery – it leads to the door, but stops here.” In the same place he writes that psychosynthesis is “neutral to the various religious forms” because it is based on science. However, this latter point is certainly debatable. Reading Assagioli, it becomes clear that his work is steeped in metaphysical considerations. He opens the door wide to concepts such as Cosmic Synthesis, Emanation, Levels of Reality, Evolution, Atman, Brahman, Universal Self, etc. In other words, Assagioli’s approach to spirituality is clearly theistic. God, Brahman, the Universal Self – whichever label we use – is a reality for him. These concepts are not neutral and it would be difficult to integrate, say, a classic Buddhist view within this philosophical framework. Assagioli clearly believed in a Self – what might be called a Universal Self – not just an impersonal ground of being. Outside of psychosynthesis I believe the nearest expression of Assagioli’s philosophy can be found in evolutionary panentheism. This is a concept that Ken Wilber (2005) and Michael Murphy (2012), the co-founder of Esalen Institute, have used to define their philosophy. In his article on evolutionary panentheism, Murphy (2012) shows how this concept has been arrived at by some of history’s greatest intellectual giants, such as Fichte, Hegel, Schelling and Aurobindo; they used different names for the concept, but there are enough common features to link them. Panentheism means that God (Brahman, the Spirit, the One) permeates and transcends the universe: God’s presence in creation is both transcendent and immanent; God is in everything, but is greater than the created universe. Evolution is the process through which God’s inherent potential unfolds, including the unfolding process seen in humanity. The human soul, and indeed all beings, emanate from God. (The word emanation comes from the Latin “emanare”, which means “flowing from”, in this case, from God’s abundance.) All creatures have emanated from the same divine source and have journeyed down through the various levels of consciousness into the physical world. Here, in the physical world, humanity forgets its origins, yet there remains an unconscious/conscious yearning for original unity that creates in us a desire to return to the source, and this urge drives evolution. Seen from this perspective, the purpose of life is to awaken to the divine potential so that we might unfold and manifest this potential. “The balance and synthesis between transcendence and immanence, as two aspects of the One Reality, have been recognised and proclaimed by a number of great intuitives—Philosophers, mystics and poets— throughout the ages. I will now draw upon a selection of quotations by Assagioli to demonstrate specifically his belief in the existence of a sequence of inner levels of reality, also known as the Great Chain of Being, because this philosophy in particular can explain why Assagioli placed the Self at the top of the egg diagram. The inner worlds consist of different ontological levels of reality and frequencies of energy within the whole of creation. This is what the great scholar Huston Smith (1976) calls “the Great Chain of Being”, which is what I believe Assagioli (Undated 2) is referring to when he writes about “the various levels of reality or energy fields” which for him form “an essential part of psychosynthesis”. If these levels form an essential part of psychosynthesis, one might wonder why Assagioli didn’t describe them more frequently than he did. Today, this concept of levels is frequently debated, particularly in the writings of Ken Wilber. According to tradition, the Great Chain of Being came into existence with the creation of the cosmos. This posits not only a material world – which may have come about through a Big Bang – but also a number of inner worlds created through the involution of the spirit, a concept I will clarify below. In the lower half of Diagram 1 we find the individual levels of selfhood, and it is here we can place Assagioli’s egg diagram with its three levels (the lower, middle and higher unconscious) as well as the transcending levels that lie beyond or above the higher Self. In Christian terminology, the ‘soul’ equates to Assagioli’s Self. There are a series of inner worlds, each with its own special characteristics, and within each of them there are higher levels and lower levels. Thus in the first of these, the world of passions and feelings, there is a great distance, a marked disparity of level, between blind passion and the highest feelings. Then there is the world of intelligence, or the mind. Here too are different levels: the level of the concrete analytical mind, and the level of higher, philosophical reason (nous). There is also the world of the imagination, a lower variety and a higher variety, the world of intuition, the world of the will, and higher still, those indescribable worlds which can only be referred to by the term ‘worlds of transcendence’. The logical conclusion of this philosophy is that the Self must be understood as a spiritual being which is not found in the lower unconscious. The radiance and qualities of the Self do reach the lower unconscious, because the Self’s radiation of qualities penetrates all the levels, especially when we start purifying the personality through the energy of unconditional love. Even though this is true, the primary route towards self-realization is through the superconscious, when using a developmental model based on the perennial philosophy. Let me include a quote from Assagioli to argue why this is so: “The contents of the superconscious, particularly at its higher levels, are very close to the Self and therefore share, to some extent, its characteristics” (Assagioli, 2007: 26). Assagioli used the metaphor of the sun and its rays when comparing the Higher Self and the personal self. He said the personal self is like a mirror reflecting the rays of the sun, having many of the same qualities (Assagioli, Undated 2). Of course, we know a reflection is not the same as the source, so we can conclude that Assagioli understood the Higher Self to be at a higher level than the personal self. There are not two selves, but the Higher Self projects its consciousness to the level of the personality, where we experience it as the restricted and pale reflection of its higher source. It is like the sun, we all experience the rays of the sun, but we don’t find the sun globe on the surface of the earth. The first part – the Pilgrimage through Hell – indicates the analytical exploration of the Lower Unconscious. The second part – the Ascent of the Mountain of Purgatory – indicates the process of moral purification and gradual rising of the level of consciousness through the use of active techniques. The third part –the visit to Paradise or Heaven – depicts in an unsurpassed way the various stages of superconscious realizations, up to the final version of the Universal Spirit, of God Himself, in which Love and Will are fused. Assagioli is describing a purely hierarchical and ascending development through higher and higher worlds of existence, which he calls a “wonderful picture of a complete psychosynthesis”. From a basic, original absolute reality, a series of levels of life, intellect, feeling and material life has developed, through gradual differentiation, to the point of inorganic matter. Thus every quality or attribute of the eternal world, of matter itself, and of the countless different creatures is but a pale, obscure reflection of a quality or attribute of the spiritual Reality, the Divine Being. Time and time again one is brought up against the paradoxical duality and unity of the Deity. The personal “I” comes down from the star, or from the spiritual “I”, in the form of a reflection. This fits one of the interpretations of the parable of the prodigal son. The personal “I” is the prodigal son who has descended to the level of the material world and forgotten his origin, to the point where of his own free will he resorts to all the foolishness he is capable of, all the errors (”errors” both in the sense of making mistakes and of going astray), and only then feels a longing for his fathers house, sets out in search of it and eventually finds it. We have now reached the fifteenth group of symbols, that of resurrection and return, what in the gospels is referred to as the return of the prodigal son to his father’s house. This is a return to a previous state and points to a return to the original, primordial Being. It presupposes an emanatistic theory of the soul, descending, becoming one with matter, and then returning to its “home”, the heavenly homeland – not as it was before, but enriched by the experience of self-awareness which has come to maturity in toil and conflict. Assagioli is claiming that the soul level, or “heaven”, is not merely a symbolic picture but a real existential sphere to be encountered and explored. 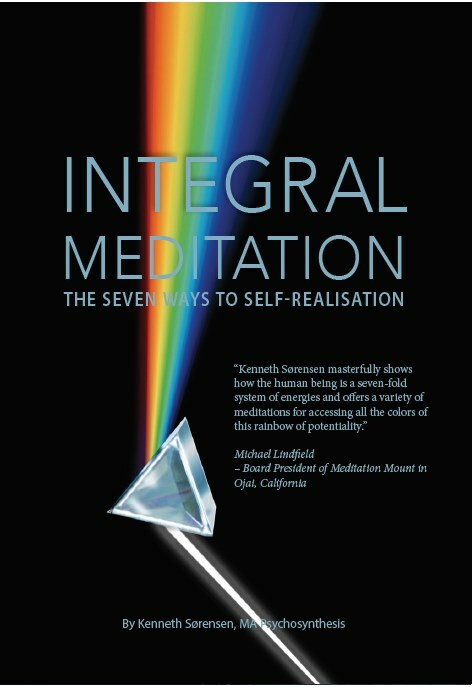 The Indian mystic Sri Aurobindo made a detailed investigation of the various levels of existence in his books (1939), and other skillful meditators have had the same experience of escaping the restrictive mental spheres, with their sense of separation, into intuitive spheres which are accompanied by a profound sense of connectedness and boundlessness. It is through such realisations that we become the Self, waking up to our identity as a connected consciousness with a dynamic purpose. So, despite my claim that Assagioli let his personal metaphysical conceptions shine through his philosophy, this does not mean that students of psychosynthesis cannot entertain their own thoughts about these matters. 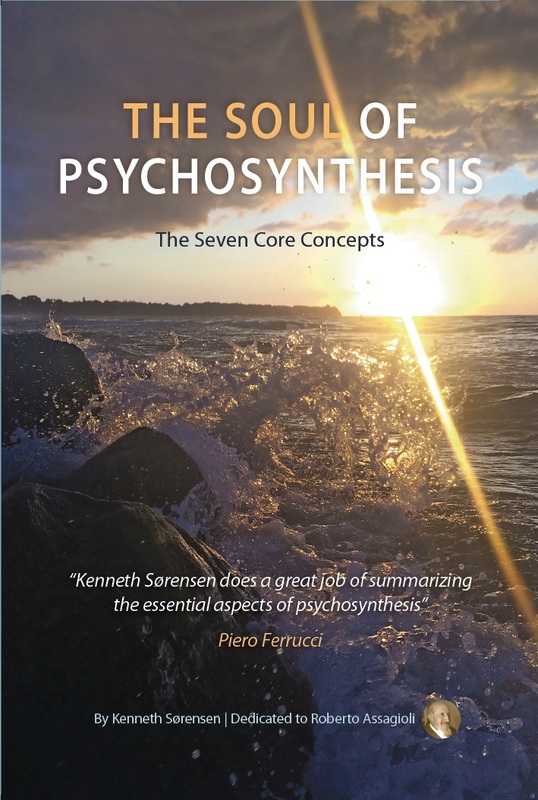 Personally, I am primarily interested in the practical application of psychosynthesis and how it can help create greater harmony, fellowship and good will in the world; I’ve yet to find a better way to communicate a practical spiritual psychology than psychosynthesis. Yet, I might also add that, based on my own experiences in meditation for 30 years and my work as a psychotherapist, I also happen to find Assagioli’s version of psychosynthesis, as I have depicted above, to be the most true. This view, that attests to a Divine Being and levels of reality, has been tested and verified by thousands of mystics and enlightened beings throughout history. But let each and every one of us find our own way to the mystery. Firman, John and Gila, Ann,1995, A Suggested Change in the Egg Diagram. Sørensen, Kenneth, 2008, Integral Psychosynthesis a comparison of Wilber and Assagioli.